Police are growing increasingly worried about a vulnerable 15-year-old boy who has gone missing in London. 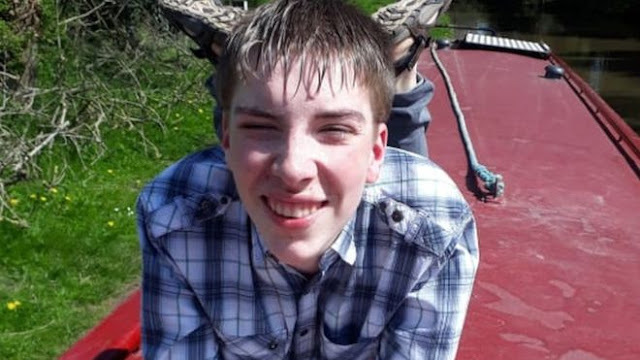 Benjamin Moorcroft, from Shrewsbury, was last seen by his family at 20:00 BST on Saturday in the Floral Street area of Covent Garden. Police say Benjamin suffers from severe epilepsy and has a mental age of between five and 10 years old. They have released a CCTV image of him walking along The Strand just after 04:35 BST on Sunday. He was near The Savoy Hotel and the junction with Carting Lane at the time of the sighting. Benjamin is white, about 5ft 7in tall, and of slim build with light brown hair. The family, who were on a visit to London and staying in the Blackfriars area, had been at a restaurant before he went missing. At the time of his disappearance, he was wearing a light pink jumper, red shirt, blue jeans and trainers. He was not wearing his glasses. Det Insp William Hodgkinson said: "Benjamin's disappearance is very out of character. "He is alone in London, a place unfamiliar to him, and particularly vulnerable due to his epilepsy. Benjamin's family and my officers are concerned for his well-being. Efforts to locate him are ongoing, but we need the public's help. "We would urge anyone who believes they may have seen Benjamin in central London or further afield since his disappearance on Saturday night to get in touch as soon as possible." Anyone with information can call police on 101 or Missing People on 116000, quoting reference 17MIS046199. 2 Responses to "Benjamin Moorcroft, 15 from Shrewsbury, missing in London"
It’s not as regards to stone and timbers, or area sizes, or tile patterns. making a house is regarding the approach it makes you feel after you ar there. it's regarding creating a life through relationships and memories by making a way of place.